Pirates of the Caribbean 5 was given a title, Dead Men Tell No Tales, hired directors in Joachim Ronning and Espen Sandberg and then… it was delayed. But now, fans of Captain Jack, we have good news. Pirates of the Caribbean 5 is back on and it has secured a future release date all to its own -- July 28, 2017. Jerry Bruckheimer has delivered on his promise to bring another Johnny Depp as Captain Jack story to the big screen and with the Kon-Tiki directors at the helm, we are actually quite excited. 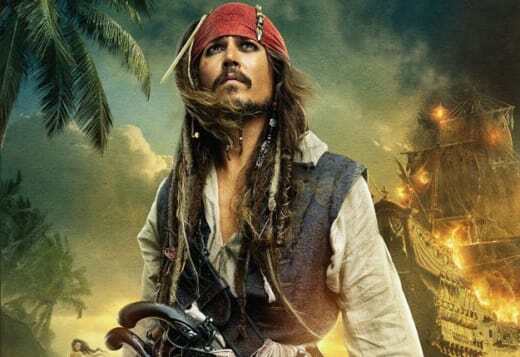 The adventures of Jack Sparrow have earned over $3.7 billion at the box office globally and it looks like they will be adding another huge chunk of change to that total in the summer of 2017. In the meantime, check out how it all got started and watch Pirates of the Caribbean: The Curse of the Black Pearl online.